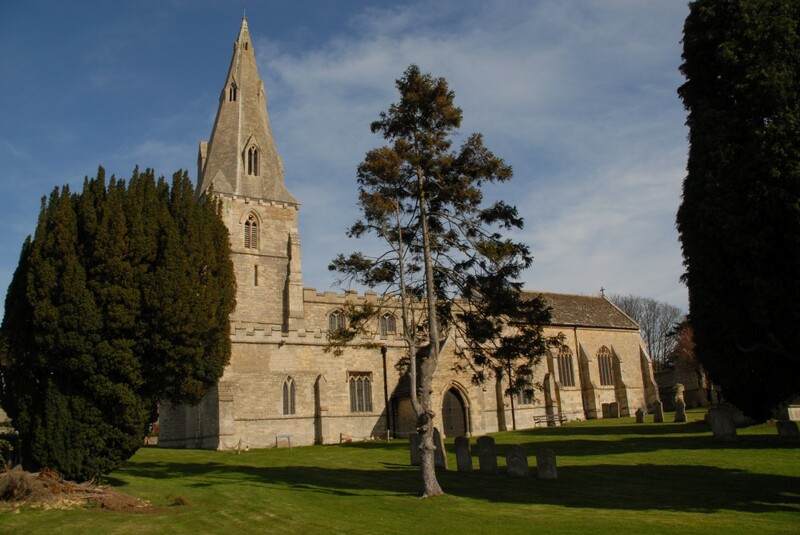 Archdeacon Robert Johnson was Rector of North Luffenham for 51 years, from 1574 until his death. The church has a huge chancel, with a very high arch. Towards the bottom end of the grounds there is a small military cemetery with graves from several nationalities from World War 2 and the Korean War and one grave from World War 1. The churchyard contains 31 graves maintained by the Commonwealth War Graves Commission. These include 11 Canadian servicemen who died while North Luffenham was a RCAF base in the 1950s. "Dedicated to the glory of God, and in memory of those who served in the Royal Air Force, the Canadian Air Force and the Allied Air Forces, all from RAF North Luffenham. 1940 - 1998. In recognition of the close links between them, the Village and the county of Rutland"